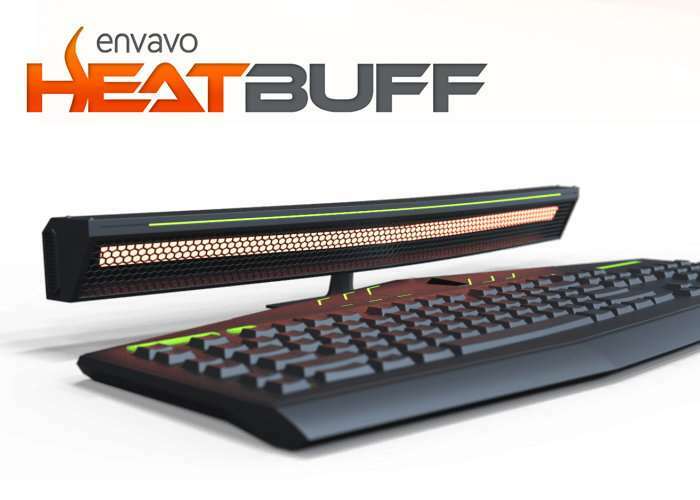 If your fingers tend to get a little chilly when playing or typing on your PC keyboard, the perfect gadget has been created in the form of the Heatbuff keyboard heater which has been designed by Envavo IVS based in Denmark. Specifically designed to increase your performance and comfort whilst on a PC the finger heater uses harmless infrared no-burn technology to make sure your keyboard remains unaffected. Check out the promotional video below to learn more about the Envavo Heatbuff keyboard heater which is now available to back via Kickstarter with shipping expected to take place during December 2017.
ver the last year we’ve done a lot of research and spoken to a lot of experienced people in their line of work. We have also contacted a lot of previous project owners on Kickstarter, both succesfully and unsuccesfully funded projects. We have done these things in order to give ourselves the best possible campaign and grounds for succes. In our minds, there is no doubt we will be able to deliver on everything we have promised in our campaign here on Kickstarter. We have budgeted the project, so we have enough capital if obstacles should occur. For more information on the new Heatbuff keyboard heater jump over to the Kickstarter website for details by following the link below.